Krishna Das leads kirtan (chants invoking the name of God) all over the world. After meeting Ram Dass in 1968, he went on to the life-altering epiphany of being with their guru, Neem Karoli Baba – Maharaj-ji. A long time practitioner of bhakti yoga - the yoga of devotion - KD continues to inspire and instruct. His multiple kirtan albums are thought of as being masterful fusions of traditional chanting, Western adaptation and innovative instrumentation. KD has made numerous pilgrimages throughout India and has been initiated into Tibetan Buddhist practices. He took a few moments from his travels to speak with me about music, spirituality and the power of oneness. YT: Why did you do exclusively the Maha Mantra Hare Krishna for All One? Krishna Das: Well, first of all, because of the length of the Hare Krishna mantra and you know that the term Maha Mantra applies to all of the mantras that are called the names of God. Om Nama Shivaya is Maha Mantra as is Shri Ram Jai Ram Jai Jai Ram. So, to answer you, because [that mantra] is long and lends itself very well to musical changes. Actually, to tell you the truth, you know, I just came up with this melody and I liked it. I thought how cool [it was] and I was playing guitar when I came up with it so I thought, wow, it would be great to do it with guitar and the usual intensity kind of broke through the clouds. And then I thought maybe I’ll do this and that and wouldn’t it be great to do it this way and it just kind of gestated into this unusual form that it is now. YT: KD, did you have all four tracks in your mind before you went into the studio? Krishna Das: I had three versions in mind. In the car, on the way to record in the city, I was listening to “Indestructible Beat Of Soweto.” It’s a South African Township compilation and it was just a great feeling and such a simple chord progression-–I just started singing Hare Krishna to it and I thought I got to do this too. So, that’s how that last piece kind of developed. YT: Do you do the Township version now in kirtan? Krishna Das: I don’t think of it like that at all. I never studied Indian music. I never studied music at all. I just grew up with music, so when I want to express myself musically, the most natural way and the least artificial way is just the way I am. Now, of course, I lived in India and absorbed the spirituality of India and the truths of India, but I didn’t absorb them as an Indian. I absorbed them as an American, so when I want to express naturally through me, they come out the way they come out. Again, this is not conscious. I’m not trying to do anything here. I’m not qualified to try and do anything. I’m just singing to my guru, Neem Karoli Baba. I’m just singing to the heart, the presence. And I sing the way it comes out of me naturally, you know. I don’t think about it. An idea just kind of comes through. I don’t know enough to try and write music in a particular style. YT: But the music has evolved tremendously, yes? Krishna Das: The more I’ve relaxed. The more real the realization has been within me and the more real the path becomes and the more real dharma becomes, unless I interfere with it with my stupid mind. I’m down to whoever I am, you know. The more relaxed I am the more...I have the blues and I had the blues as a kid and I had the blues when I was growing up and I listened to the blues guys and I sat at their feet, literally at Mississippi John Hurt’s feet. I listened to Skip James and all those guys that were coming through in the mid-sixties and, you know, I just felt at home there. So musically, that’s a place I feel very comfortable in. YT: Would you recall for us, a moment when Maharaj-ji brought your attention to “All is One”? Krishna Das: Many times when we were sitting with him, he would look at us and put his finger up, like on the cover of the CD–-that’s his hand–-he would look at us and do that, you know. And of course, we always thought, ‘Oh Jesus, what am I getting busted for.’ He knew the past, the present and the future, everything ever thought. So I’m thinking, ‘is it something I did or something I’m going to do.’ Anyway, one day someone said to him, “Maharaji-ji, what does that mean when you do that?” and he just did it again and actually he put up all five fingers, one by one, and shook them in front of us and then went back to the one finger, and then he just said, “Sab Ek, It’s all one. Many names, many forms, all one.” This is the place that we came from. So that understanding was there–-of the ultimate oneness of the universe–-kind of This Is All One mantra. YT: You said somewhere that all the practices are important but we forget every second about All Is One. Does hearing the name of God help? 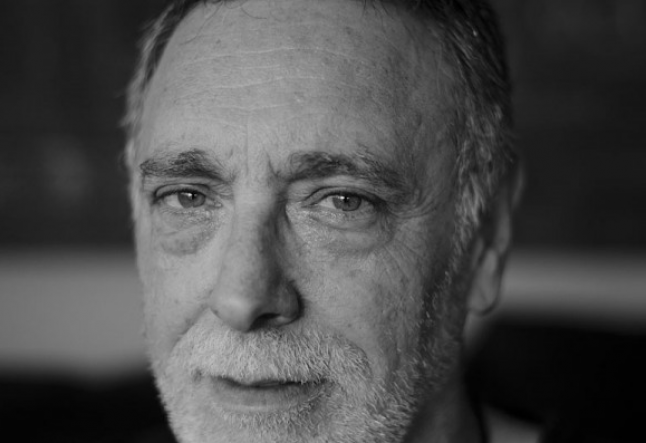 Krishna Das: These are words slash sounds slash emanations of reality that come from a place deeper than our thoughts and emotions until they bring us back to that place. Every repetition of the name has an effect whether you feel it at the time or not. The point is it feels good to do it and the kind of feeling good is not because of, as Buddha would say, contact with sensual objects or anything that will cause pain later, pleasure now and pain later. This is simply a practice of turning towards our own hearts. It feels good to do it and we learn to crave that kind of feeling more. We spend more time feeling that and less time feeling bad, as time goes on. The mantras themselves, the names carry such tremendous transformative powers. YT: There are great, world-stature musicians on the CD. Can you talk about the relationship in the studio with those guys, how you kind of directed them and created the perfect atmosphere? Krishna Das: We talked a little in general about the flavor of it all and how we wanted it to feel and then we just played it and I just trusted them to do the right thing. That is what they do. And I just concentrated on trying to do my best and sing and play without making too many mistakes. Krishna Das: It’s a very joyful feeling in the room by the way. There were about seventy people. Plus all the musicians-–they were able to participate and they didn’t have to be the leader. They were just happy to be there and join this wonderful feeling. YT: How did Rick Allen (of Def Lepard) for instance come to this whole thing–-kirtan, you? Krishna Das: He told me one time he and his girlfriendwere in this bookstore in Boulder. They were then in separate parts of the store and they both started crying when this music was playing. When they met each other in the store, they were both crying about this music and they asked what was it and it was one of my CDs. Right after that, either later that day or the next day, they saw a poster that I was coming to town. So Rick came up and asked if he could play. So Ty asked him to play a hand drum with us. That was the beginning of a friendship. YT: How satisfying is it to travel around the world at this point and do kirtan? How does that feel in Holland or Brazil, wherever? Do you enjoy traveling and doing this? Krishna Das: It’s the same all the time, you know. Even when I was with Maharaj-ji, my favorite thing, next to looking at him, was watching the faces of the people around him, and how they went from kind of dark and gloomy to sweet and happy and simple. And just watching that, watching those hearts open up–-my favorite thing, just such a beautiful thing. And that’s what I’m watching now. It hasn’t changed at all. It happens to be that I’m singing instead of him sitting there but it’s still him sitting there. I have nothing to do with it. And yes, I like traveling a lot. A lot of the time it’s in churches in Europe, churches and halls. Even there, it’s too big for yoga studios. I’m singing to their hearts and my heart. I just do it. This really great saint once said to me, ‘Don’t think about it, whether it was bad or good. You don’t know what God likes.’ I sing to that place. YT: A few final words about the All One CD? Krishna Das: I think the CD is a great meditation. You can sing along with it. I made it long and unified so that it would give the opportunity for people to do that. It’s not a three-minute single–-it’s a fifty-five minute single! It really allows you to make use of the repetition and go through your changes and really kind of get there if you want to.